How did you get into professional baseball? I was a "walk on". That is I wasn't scouted or drafted by any professional organization. In the spring of 1973, just before their minor league spring training camp opened, the San Francisco Giants held a tryout camp to try and fill up a few open spots on their minor league rosters. It was a chance to actually get paid to play baseball. Over 170 players came to that camp in Casa Grande, Arizona. In the first week, Giant scouts and coaches eliminated over 160 players. The rest were put on minor league teams and played against each other in Spring Training. I was the only player from that camp who was signed to a professional contract. I played that year in Decatur, Illinois, our Class A farm team. I batted .264 that year. What is your background in professional baseball since your start in 1973? 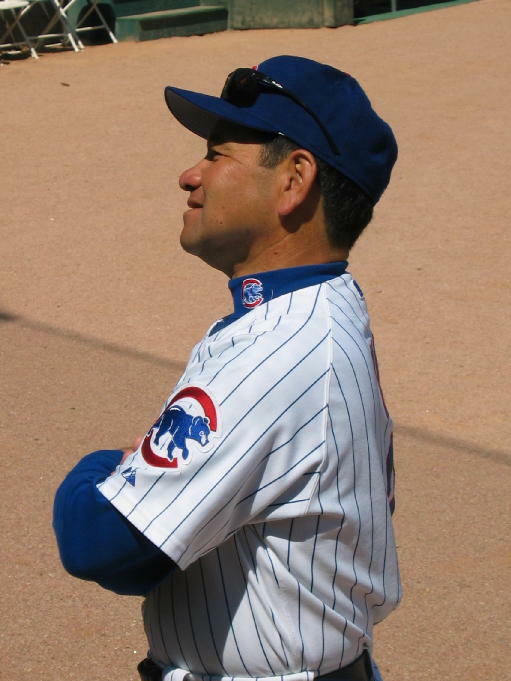 Beginning with the 2003 season, manager Dusty Baker asked me to join him as his third base coach for the Chicago Cubs. In this, my 30th year in professional baseball, I signed a multi-year contract for the first time. My deal with the Cubs is for two years. Last year in 2002, I was the bench coach of the Montreal Expos under manager Frank Robinson. In 2001, I managed the Indianapolis Indians of the International League (Milwaukee Brewers AAA affiliate). 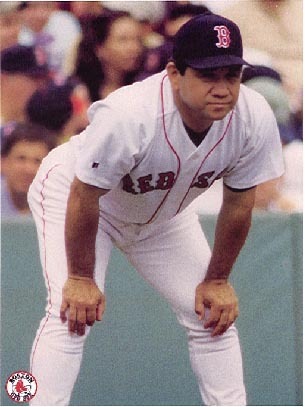 From 1997 through 2000, I was the third base coach for the Boston Red Sox managed by Jimy Williams. Prior to 1997, I spent 24 years with the San Francisco Giants organization as a minor league player, minor league coach, minor league manager, and major league coach. I was a major league coach with the Giants from 1989 through 1996. Then you never played in the major leagues? No, I have never appeared in a major league game as a player nor has my name been carried on a major league roster. I did play minor league baseball for seven years. My best year was in 1978 when I batted .313 playing for the Phoenix, the Giants' Class AAA team. I have played every position except for pitcher and first base and have been selected as a Minor League All-Star. Would you like to manage a Major League League team ? Yes! Managing in the major leagues is a goal I want to achieve before I retire from baseball. I think I do a great job of communicating with today's players. I was named Manager of the Year twice in my minor league managing career. What do you actually do as a coach? As well as being the third base coach for the Cubs, I also serve as an instructor for the infielders. This spring, I spent a great deal of time working with 3rd baseman Mark Bellhorn who was learning a new position and rookie 2nd baseman Bobby Hill who was adjusting to the major league style of play. I usually arrive at the park at least five hours before first pitch. That means for a 1:05 PM game, I will be at the ball park before 8:00 AM. As third base coach, I need to make sure all of our players know the signs. I also need to have my scouting reports together so I know the other team's defense in advance. I pull together the advance scouting reports and other information which we have on the opposing team and enter this information into my computer. I then distribute reports to our players and coaches. These reports show the tendencies of players on the other team. For example, when we play Montreal, we all need to know that outfielder Vladimir Guerrero has a better than average arm. When we play Florida, we all need to know that catcher Ivan Rodriguez has a gun behind the plate. We use these reports to help us with our strategy during the game. When I'm finished with my "paperwork", I usually do some physical conditioning such a weight training, sit-ups, and exercises that will help me perform my on-the-field duties. Once the players are dressed, about three hours before the first pitch, I lead the team in daily stretching exercises which takes about 20 minutes. During the pre-game practice, I hit fly balls to the outfielders and ground balls to our infielders. Then, I alternate with the other coaches in pitching batting practice. A typical batting practice requires throwing about 200 pitches. Finally, it's time to play ball !! Do you work at any baseball clinics or instructional camps ? In the off-season, I teach professional baseball in Korea and work at the San Francisco Giants Baseball Fantasy Camp in Scottsdale, Arizona. In 2002, I joined the staff of a new baseball clinic designed for the older player (25-65). Several current major league coaches met in Peoria, Arizona to teach MSBL, NABA, and fantasy camp players the finer points of the game. The first year was a success and we will do it again this November at the Pro Ball Baseball Clinic. I also conduct a limited number of instructional clinics in California and Arizona. In addition to focusing on youth instruction, some of my camps are designed specifically for little league and future little league coaches and other youth baseball league teams. In these camps, I teach non-professionals how to provide instruction on baseball fundamentals as well as deal with very practical matters such as how to make due with improvised gear and how to acquire baseball equipment.